An important aspect of the structure of fundamental rights is the bifurcation between the definition of scope and the review of justification. This bifurcation is of great importance to the division of the burden of proof and to the use of argumentative tools such as the doctrine of the margin of appreciation. Nonetheless, it appears that the European Court of Human Rights does not always take the bifurcation seriously. It often omits to address issues of definition or merges the two elements into one single test. This paper highlights some of the problematic consequences of the Court’s approach towards the structure of fundamental rights. In the end, the Court’s current approach may hamper the effectiveness of the Convention system and limit the protection offered to individual citizens. A more structured approach towards the scope and definition of Convention rights may help to avoid or solve these problems. When in 1985, a Maltese woman was hanging some laundry from her window above the courtyard of her downstairs neighbour, she would never have guessed that the ensuing dispute would lead - years after her death - to a judgment by the Grand Chamber in far-away Strasbourg. Yet, that is exactly what happened earlier this month as the European Court handed down its judgment in the case of Micallef v. Malta (Appl.no. 17056/06). It found a violation of the right to a fair trial, just as a section of the Court found last year. The main reason was that one of the judges in the domestic proceedings was close family of the lawyer of the other party in the dispute. 84. First, the right at stake in both the main and the injunction proceedings should be “civil” within the autonomous meaning of that notion under Article 6 of the Convention (see, inter alia, Stran Greek Refineries and Stratis Andreadis v. Greece, 9 December 1994, § 39, Series A no. 301-B; König v. Germany, 28 June 1978, §§ 89-90, Series A no. 27; Ferrazzini v. Italy [GC], no. 44759/98, §§ 24-31, ECHR 2001-VII; and Roche v. the United Kingdom [GC], no. 32555/96, § 119, ECHR 2005-X). 85. Second, the nature of the interim measure, its object and purpose as well as its effects on the right in question should be scrutinised. Whenever an interim measure can be considered effectively to determine the civil right or obligation at stake, notwithstanding the length of time it is in force, Article 6 will be applicable. 86. However, the Court accepts that in exceptional cases - where, for example, the effectiveness of the measure sought depends upon a rapid decision-making process - it may not be possible immediately to comply with all of the requirements of Article 6. Thus, in such specific cases, while the independence and impartiality of the tribunal or the judge concerned is an indispensable and inalienable safeguard in such proceedings, other procedural safeguards may apply only to the extent compatible with the nature and purpose of the interim proceedings at issue. In any subsequent proceedings before the Court, it will fall to the Government to establish that, in view of the purpose of the proceedings at issue in a given case, one or more specific procedural safeguards could not be applied without unduly prejudicing the attainment of the objectives sought by the interim measure in question. Another point, again emphasized in some of the dissents, is whether such a trivial case merits consideration by the European Court and whether the applicant, the brother of the deceased protagonist in the case, was a victim himself. Well worth reading also in the context of the discussion to what extent the system offers venues for proceedings which resemble an actio popularis. The accession of Central and East European States into the European Convention of Human Rights system was both a threat and a promise to the system. The threat resulted not only from the substantial increase of the number of Contracting States and that of the case-load, but also from the demise of a consensus which was, originally, presupposed by the system of protection of human rights in Western Europe: original members of the Council of Europe were ‘like-minded’ and the Convention system did not represent a challenge to their internal patterns of human rights protection. This article, however, focuses on a promise: a possibility for the European Court of Human Rights to abandon once and for all the fiction that it is merely a sort of super-appellate court which scrutinises individual decisions rather than laws in Contracting States. 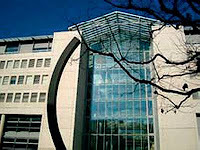 This shift towards a quasi-constitutional role, going beyond the simple identification of wrong individual decisions so as to point to systemic legal defects, was triggered by systemic problems within the new Contracting States, while also facilitated by collaboration between the European Court of Human Rights and national constitutional courts. The emergence of so-called ‘pilot judgments’ is the best and most recent illustration of this trend. The way in which a national court may form a de facto alliance with the European Court effectively ‘pierces the veil of the State’, and positions the European Court as a quasi-constitutional judicial body at a pan-European level. This symposium draws upon the proliferation of academic commentary asserting that the international human rights system is in a state of crisis in the first decade of the twenty-first century, a discourse which requires an evaluation of both the impact and future direction of the human rights project. With papers from world leading authorities on human rights, this symposium provides a forum for the re-evaluation the effectiveness of human rights as an element of international law and in the domestic context of the United Kingdom at the end of a decade when the human rights project has faced renewed and novel challenges. Moreover, this Symposium draws together skeptics and supporters as well as disparate strands of transatlantic scholarship. A limited number of places for delegates are available on a first-come-first-served basis, at a cost of £30 per head (or £10 per head for full-time postgraduates), inclusive of lunch and refreshments. Full details of the Conference Programme are available on the Newcastle Law School Website. For further details regarding this symposium, please contact Dr Rob Dickinson (r.a.dickinson at ncl.ac.uk) or Dr Ole W. Pedersen (ole.pedersen at ncl.ac.uk). This is a picture of a carnival parade in which US president Barack Obama is shown with wings carrying the text of his campaign phrase "Yes we can", to which the figure Europa is clinging with the text "We too". Benevolent humour with a clear reference to a topical political issue. Two cases of comparable satire were decided by the Court recently. In both cases the authorities involved had violated the freedom of expression in punishing various forms of satire. The first was the case of Kuliś and Różycki v. Poland (Appl.no. 27209/03), decided by the Court on 6 October. This concerned the publication of cartoons in a children's magazine. The cartoons were a parody on an advertising campaign by a potato crisps company, Star Foods. The cartoons depicted a child talking to a famous dog cartoon character for children, Reksio, saying: "Don't worry, I would be a murderer too if I ate this muck!". It was a direct reaction to the company's advertising campaign in which the popular character Reksio was oddly called a murderer (other parts of the campaign referred to sexual behaviour or alcohol or were even racist). The potato crisps producer was not amused by the parody and sued the magazine. The publisher and editor were sentenced by domestic courts to publicly apologize for the cartoons and to pay an amount of money to a charity. The main justification given by the Polish courts was that the cartoons discredited the crisps unjustifiedly. The defence of the applicants was that the cartoons were meant as a satirical comment on the advertising campaign, not on the product as such. The European Court agreed with them, emphasizing that a certain degree of "exaggeration or even provocation" was permissible for the press, especially when it concerned a question of public interest. In this case, the Court held that in para. 38 "that the applicants' aim was not primarily to denigrate in the minds of readers the quality of the crisps but to raise awareness of the type of slogans used by the plaintiff company and the unacceptability of such tactics to generate sales." The other case is directly related to carnival itself. In Alves da Silva v. Portugal (Appl.no. 41665/07), the applicant was prosecuted and convicted for driving around during carnival with a puppet representing the mayor of Mortágua with symbols of corruption on the puppet and for broadcasting a pre-recorded message of satire on the Mayor's suggested illegal acts. The applicants was ordered to pay a fine, damages and costs of over 4,000 euros. Again, the European Court decided in favour of the applicant and held that the expressions were clearly satirical and in the context of carnival could hardly be taken literally. It stressed once more the importance of satire in public debate. One may add that the mayor of this Portuguese town has not at all understood the essence of carnival which very essence is - as any anthropologist could have told him - a reversal of roles, a topsy-turvy festival in which the powerless criticise the powerful. The judgments can be found on the HUDOC search engine and the press releases can be found here. The second judgment is only available in French. Both cases could be laughed off as bizarre instances of the kind of situations that reach Strasbourg. But equally, they point to a worrying development in various European countries in which commercial or political interests are attacking even the most innocuous expressions. In that respect, it is good that the European Court is taking jokes seriously. At a round table discussion held in Bled in Slovenia on 21-22 September, the Court's registrar gave his views on how the Court could deal with repetitive cases pending further reforms. Although these are his personal views, they do give a good insight in the main thrust of the discussion taking place currently. The full text of the speech 'Bringing Rights Home - or how to deal with repetitive applications in the future', can be found here. Many thanks to professor Rick Lawson of Leiden University for pointing this out to me! According to the press office of the Strasbourg-based European court for human rights, the Romanian authorities have a deadline of 30 October to grant Mr Maries access to all the "relevant" files in his case. An emergency procedure, the so-called Rule 39, was applied in his case due to the urgency of Mr Maries' health condition. I was not yet able to find a press release of the Court itself or any information on its website, but this is certainly a sad and dramatic case to be followed. The full article on EU Observer can be found here. This 38-page report examines Russia's response to European Court judgments on cases from Chechnya. In almost all of the 115 rulings, the court concluded that Russia was responsible for extrajudicial executions, torture, and enforced disappearances, and that it had failed to investigate these crimes. 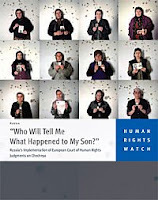 In the 33 cases researched by Human Rights Watch, Russia has still not brought a single perpetrator to justice, even in cases in which those who participated in or commanded the operations that led to violations are named in the European Court judgments. The press release of Human Rights Watch can be found here. * The European Court of Human Rights and Immigration: Limits and Possibilities, pp. 199-204(6), Authors: Battjes, Hemme; Dembour, Marie-Bénédicte; Hart, Betty de; Farahat, Anuscheh; Spijkerboer, Thomas; Walsum, Sarah van. * Love Thy Neighbour: Family Reunification and the Rights of Insiders, pp. 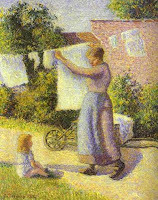 235-252(18), Author: de Hart, Betty. * Structural Instability: Strasbourg Case Law on Children's Family Reunion, pp. 271-293(23), Author: Spijkerboer, Thomas. * Against All Odds: How Single and Divorced Migrant Mothers were Eventually able to Claim their Right to Respect for Family Life, pp. 295-311(17), Author: van Walsum, Sarah. Articles are accessible for subscribers through IngentaConnect. Thanks to professor Marie-Bénédicte Dembour of the University of Sussex for notifying me of this! The present volume deals with terrorism, both the legislative reactions to it and its impact on human rights. It is argued that the preservation of human rights is vital for the prevention of terrorism, encompassing state and non-state terrorism alike. Further, the study shows that legislators tend to disregard fundamental human rights when confronted with terrorism. They are “terrorised” themselves by the incident and risk to overreact. After an historical account of selected (pseudo-? )terrorist movements throughout time and space, an inventory of anti-terror legislation in four European countries within the last forty years follows. In this context, the author examines the role of the judiciary with a special focus on the European Court of Human Rights in Strasbourg. As a result, we get a complex view on what happened with regard to terrorism and anti-terrorism in different European countries in the past and is happening at present, and what this means for human rights. This allows us to put contemporary anti-terror legislation into perspective. How have different governments dealt with terrorism in the past? How has the law developed after September 11th 2001? Which lessons can be learned, and what can we expect in the future? A table of contents can be found here. The book is published in the dissertation series of the Netherlands School of Human Rights Research whose new website, in which I was involved, was just launched last week. The site also includes a list of expertise which can be helpful in finding ECHR experts in the Netherlands. Its been three weeks now, but the Grand Chamber judgment of the Court in Varnava a.o. v. Turkey is important enough to highlight here. The case concerns a number of disappearances which occurred in 1974 during the the armed conflict on Cyprus. The disappeared persons were last seen in areas under the control of the Turkish militrary. Only very recently, in 2007, the bodily remains of one of the disappeared was found and identified. Largely in line with the findings of the earlier Chamber judgment of 2008, the Grand Chamber found violations of Articles 2,3 and 5 ECHR. But in contrast to the Chamber, it did award the applicants just satisfaction for non-pecuniary damages. One of the main points of discussion in this case was a question of admissibility: the interpretation of the rule that an application normally needs to be lodged within six months after exhausting domestic remedies. The Grand Chambwer tried to clarify its case law on this point, but did not entirely succeed in that. Rather it came, through intricate argument, to an assessment which is nuanced but not clear-cut. Various judges address this issue in separate opinions, which show how much discussion there must have been on this point. As concerns the other seven men, no such documentary evidence of actual detention has been forthcoming. There is nonetheless an arguable case that the other seven men were last seen in an area under the control, or about to come under the control of the Turkish armed forces. Whether they died, in the fighting or of their wounds, or whether they were captured as prisoners, they must still be accounted for. Article 2 must be interpreted in so far as possible in light of the general principles of international law, including the rules of international humanitarian law which play an indispensable and universally-accepted role in mitigating the savagery and inhumanity of armed conflict. The Court therefore concurs with the reasoning of the Chamber in holding that in a zone of international conflict Contracting States are under obligation to protect the lives of those not, or no longer, engaged in hostilities. This would also extend to the provision of medical assistance to the wounded; where combatants have died, or succumbed to wounds, the need for accountability would necessitate proper disposal of remains and require the authorities to collect and provide information about the identity and fate of those concerned, or permit bodies such as the ICRC to do so. One may expect more of this in the years to come, especially with the pending cases concerning the Russian-Georgian conflict of last year. The argument to use international humanitarian law was put forward by Cyprus, as an intervening state in the case. All parties, by the way, were supported by legal advice of the highest caliber: Jochen Frowein for Turkey, Ian Brownlie for the applicants, and Françoise Hampson for Cyprus. Four concurring opinions and one dissenting opinion are attached to the judgment. The press release in English can be found here.